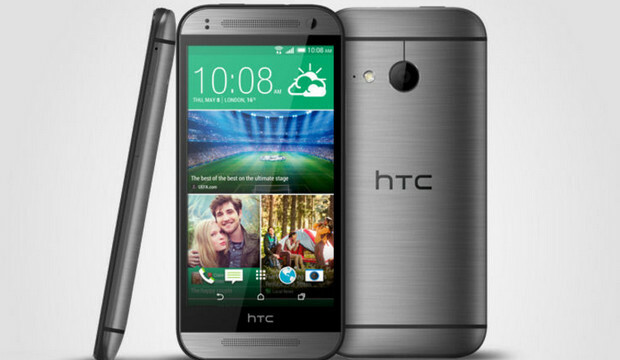 For those folks disinclined to strut the streets with man-sized phones bulging out of their pockets, HTC has introduced the One Mini 2, a scaled down version of their rather splendid – but hefty – HTC One (M8) smartphone. With the smaller size comes compromise, with the Mini 2 eschewing the fancy pants Duo Cameras with UltraPixel of its big brother, plumping for a single 13-megapixel rear lens instead. However, there is a new wide-angle 5MP front facing camera for scooping in extra background detail for those essential selfies, plus BoomSound stereo speakers on the front to keep the party banging. 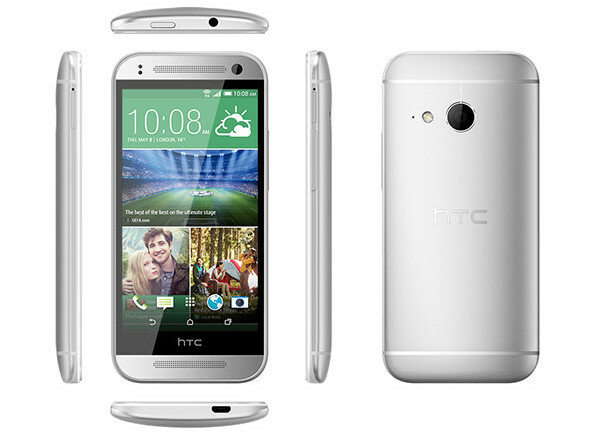 “The latest member of the award-winning HTC One family distils the advanced features that have earned it global acclaim, into an elegant, compact handset”, purred Peter Chou, CEO of HTC Corporation. “Its size and tapered edges fit perfectly in a hand, pocket or purse, making it look great and feel even better to use. 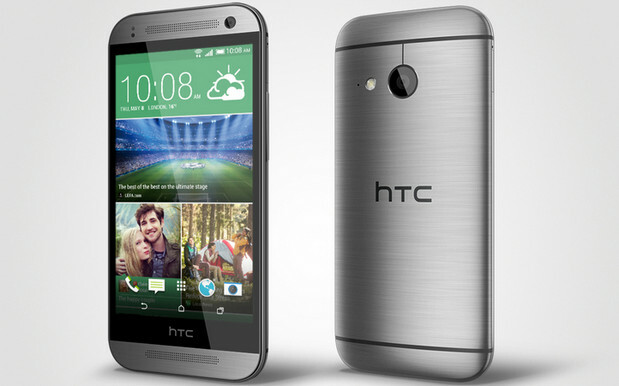 It’s the perfect choice for those who love the iconic design of the HTC One (M8) yet want something more compact,” he enthused. Running a 1.2 GHz quad-core Snapdragon 400 processor, the Mini 2 comes with 1 GB of RAM, 16 GB of internal storage and a a MicroSD slot, backed by a 2100 mAh battery. Rather amusingly, the Mini 2 is actually bigger than the original HTC One, with its still-sizeable form offering a 4.5-inch screen supporting a 720 x 1280 resolution. The handset runs the latest Android version of 4.4 KitKat, liberally infused with HTC’s very own Sense 6.0 interface, and it’ll be served up in gunmetal gray, glacial silver and amber gold finishes. 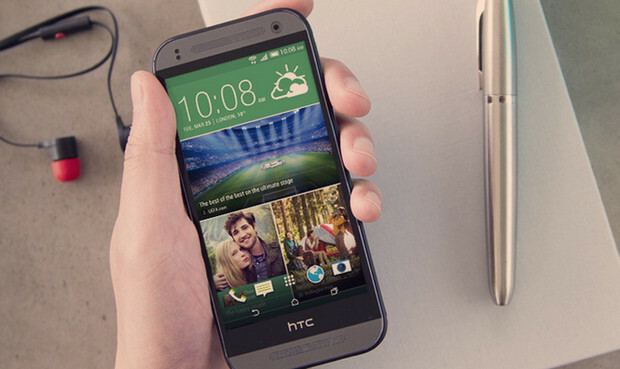 HTC say that the Mini 2 will be available in European stores from June 2014, with the States to follow sometime after. Pricing is yet to be announced, but we reckon it’ll be in the £250-£300 bracket.